Beauty indeed runs skin deep. However, it is still important that we take care of what’s outside. Our skin needs all the tender love and care it needs as it experiences harshness every day. 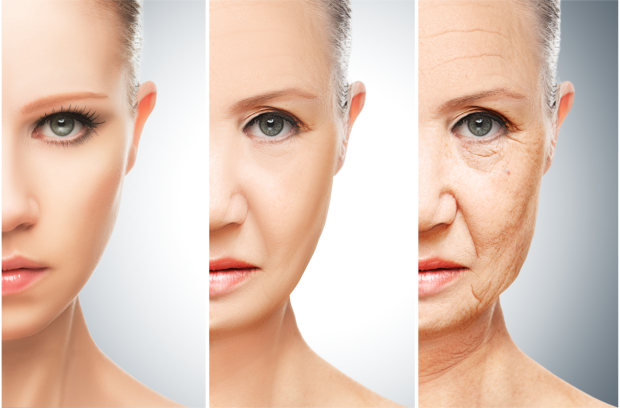 Once you hit a certain age, it is very important to consider the long-term benefits of skin care. It’s no fuss really! It’s just a matter of allotting a small amount of your time daily to a regular skin care regime. It’s never too late to get started. Let us help you work out what dos and don’ts are vital when avoiding premature skin aging. DO cleanse your face after waking up and before going to bed with a mild cleanser. DON’T use cleanser with large beads every day. Exfoliating should be done only 2 to 3 times a week. DO use a self-tanner or bronzer instead of tanning out in the sun or on a tanning bed. Increased sun exposure can speed up the aging process. DON’T forget to apply sunscreen with at least 30 SPF when stepping out into the heat of the sun. DO use acne-fighting cleanser or moisturizers to avoid acne or pimple outbreaks. DON’T pop your pimple or zit. It can irritate the skin and risk harmful infection. DO have a range of skin care products that are best suited for your skin type. Products with retinol are very beneficial to skin care since they promote elasticity, exfoliate the skin, and help remove dead skin cells. DO NOT apply too many skin care products all at once. For one, it may be expensive. Plus, mixing products without trying on what the best combinations are can cause irritation. DO choose your food well. Your diet can greatly affect your skin. Foods with vitamin A and omega-3 fatty acids help minimize skin damage and promote healthy and younger looking skin. DO NOT consume food with too much sugar and caffeine as it can promote acne breakouts. DO drink a minimum of 8 glasses of water daily. Hydrating your body reflects on your skin. DO NOT neglect other drinks that are good for your skin as well. Health juices and teas that help eliminate toxins from the body promote healthy skin as well. DO dedicate a few minutes of your time daily to your skin care regime. Developing the habit will provide long-term benefits as you get used to taking care of your skin. DO NOT skimp on sleep. Lack of sleep will disturb the rejuvenating process that happens at night. DO invest in products and equipment useful to your skin care regime, such as a mini facial steamer. Having this handy will help in opening up your pores during your cleansing ritual. DO NOT smoke. If you already do, do your best to quit. As mentioned before, it doesn’t take much to take care of your skin. Being aware and conscious early on will be better for you in the long run. Of course, you need outside help as well. Treat Now Family Clinic, a Family Clinic in Arlington Texas promotes health in all aspects, and skin care is one. Our Family Medical Clinic aims to help every family achieve a healthy and fulfilled lifestyle. We help you feel good and look good as well!